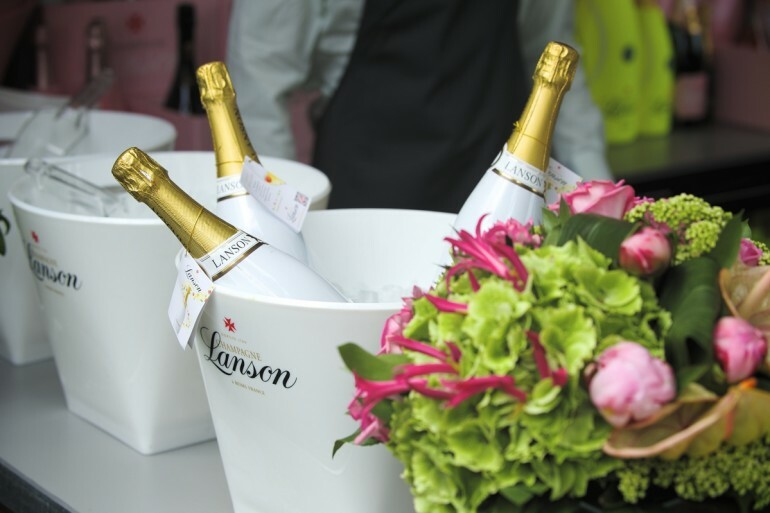 We’ve already discussed Champagne Lanson’s plans to take over the Summer’s social calendar, and with The Championships, Wimbledon now well on its way, ahead of the tournament which commences on Monday June 29th, the brand has teamed up with the All England Lawn Tennis Club to create a special limited edition ‘Wimbledon’ bottle for the delicious Champagne Lanson White Label. The new “Wimbledon” bottle is inspired by the game of Tennis and combines the drink’s striking White Label with the All England Club’s ‘signature’ logo and colours – green and purple. Already available across the UK in Searcys Champagne Bars, The Cube in Birmingham, the G1 Group and Laine Pub Company, Champagne Lanson White Label is the first Champagne in the world specially designed for experimenting with aromas – where a twist of lemon or orange peel in the glass enhances the natural fruit characters. The limited edition Wimbledon bottles are an on trade exclusive, although will be available at The Championships, Wimbledon; and what better drink to accompany your strawberries and cream while enjoying the world’s oldest Tennis tournament? Alternatively, you can create your own Wimbledon moment at home or outdoors at a picnic with Lanson’s all White Label bottle or their fun neoprene Tennis Ball ice jackets which will come with an exclusive detachable ‘shopping trolley Lanson keyring’ which, when removed from the jacket, can be used time and time again at your favourite grocery outlet.